With my French heritage is interesting to me to note that St. Louis was once under French rule. The history is fascinating and goes for us in the USA, way back! It was 250 years ago in 1763 that French merchant named Pierre Laclede Liguest landed on French soil. Laclede had a monopoly to all trade along the Missouri River, and when he left New Orleans it was in search of a place to found a trading post. Laclede set out with Auguste Chouteau, his 14-year-old lieutenant in pursuit of a site. The original post was to be near the mouth of the Missouri River but because of the swampy, often flooded land, he settled on a bluff just below the confluence of the Missouri and Mississippi rivers. Laclede history shares that the area offered a forest of huge trees, a large prairie with many small streams, and the southern view provided more streams and bluff offering all the required items needed for a successful fort. It wasn’t until February 1764 that Chouteau, accompanied by 30 men, returned to the bluff, with instructions from Laclede to clear the land of trees in order to build a trading post. 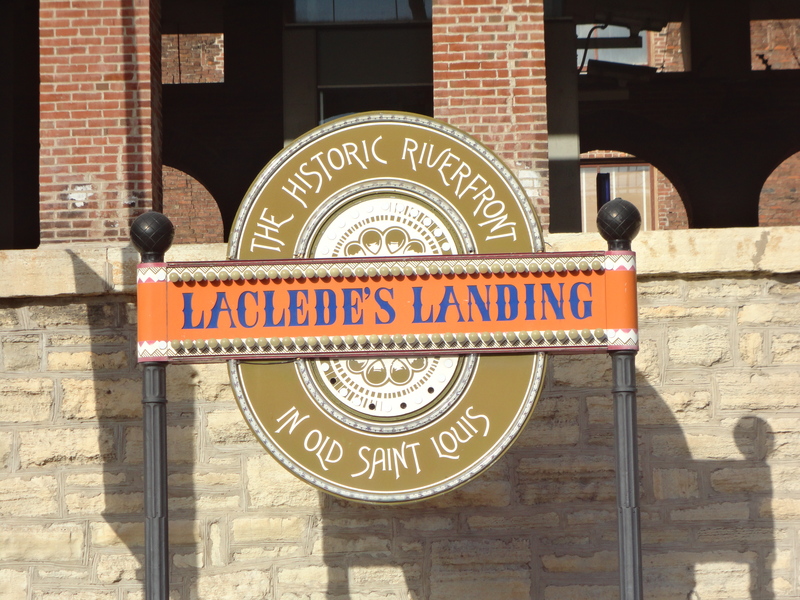 They built a warehouse and cabins and when Laclede visited, he gave the settlement the name “St. Louis” in honor of King Louis IX of France. Previous Post: The St. Louis Arch, way up high!